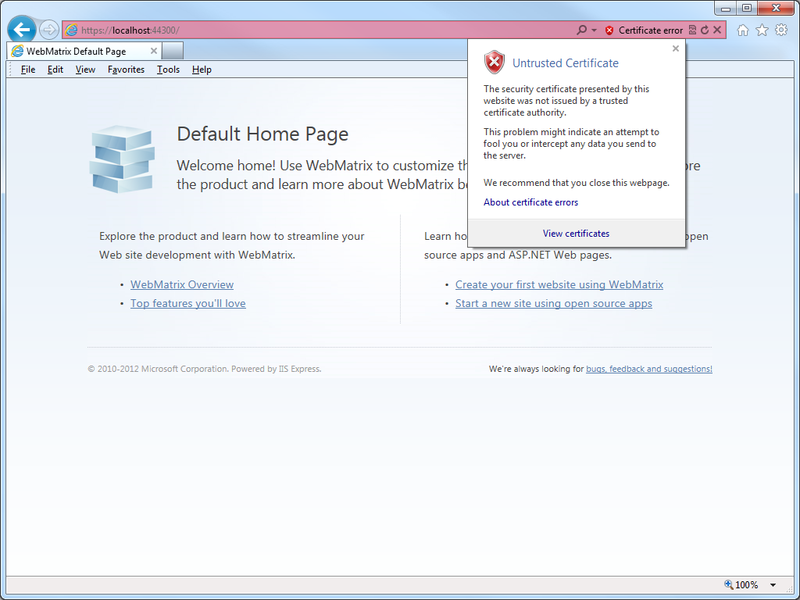 Since my coworker was using WebMatrix with IIS Express, which is the default development web server for WebMatrix and Visual Studio, all HTTPS communication was using the self-signed certificate from IIS Express. 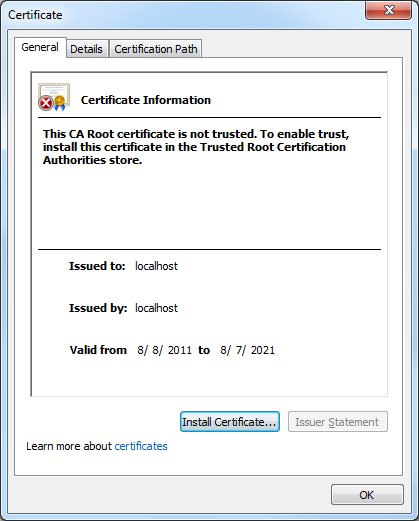 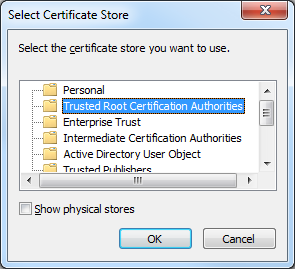 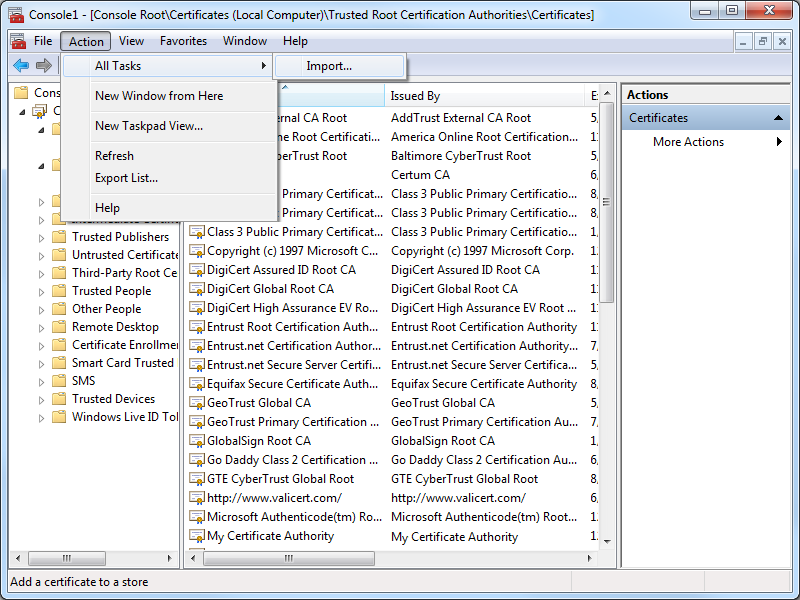 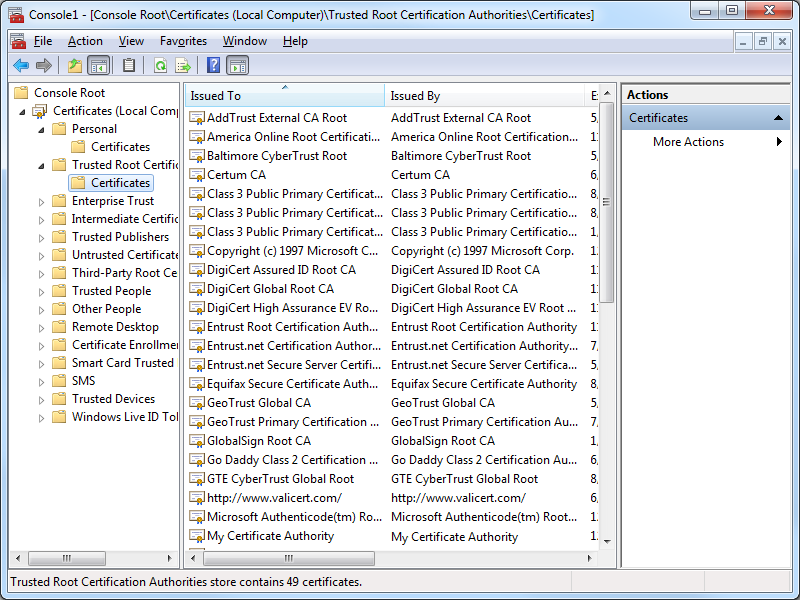 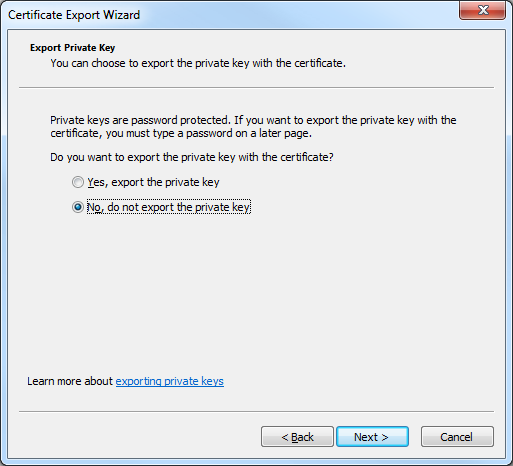 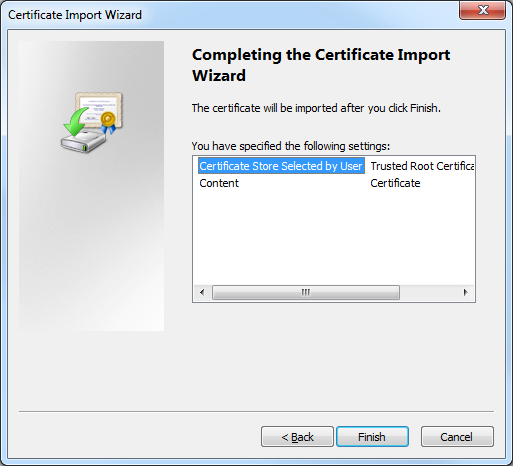 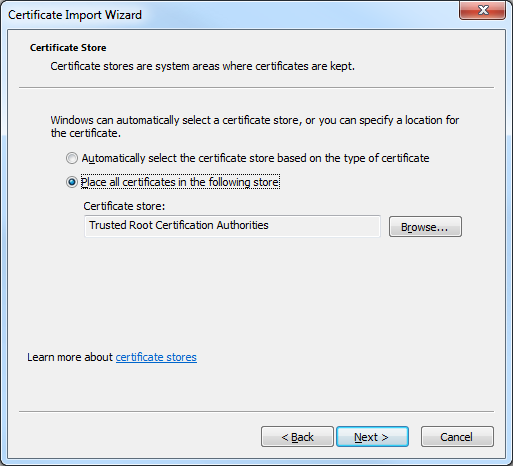 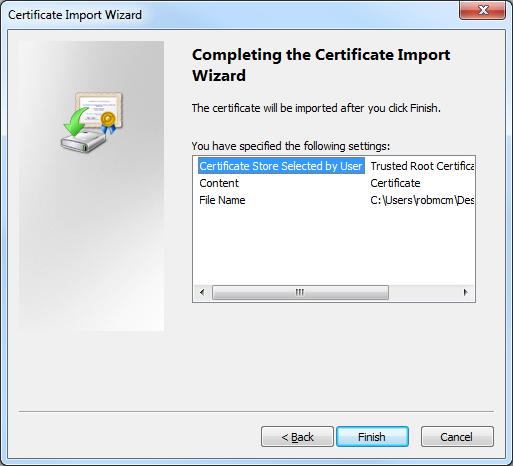 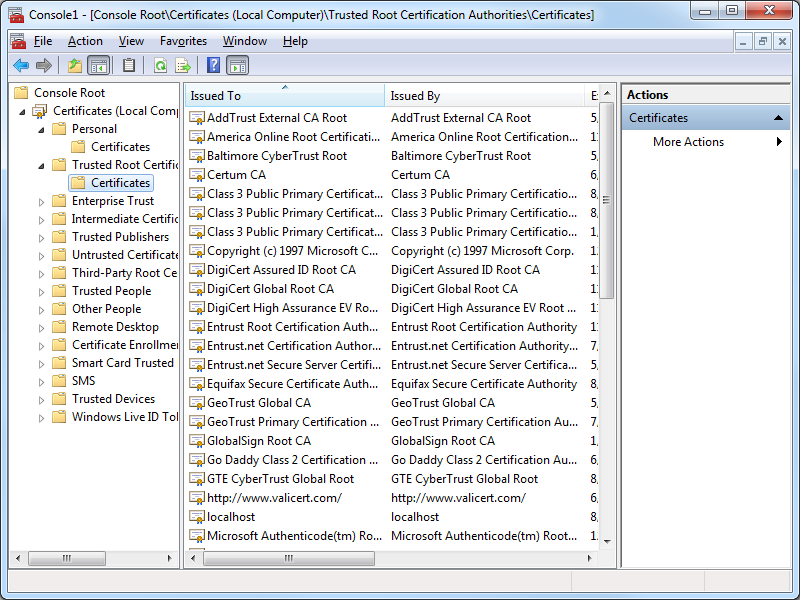 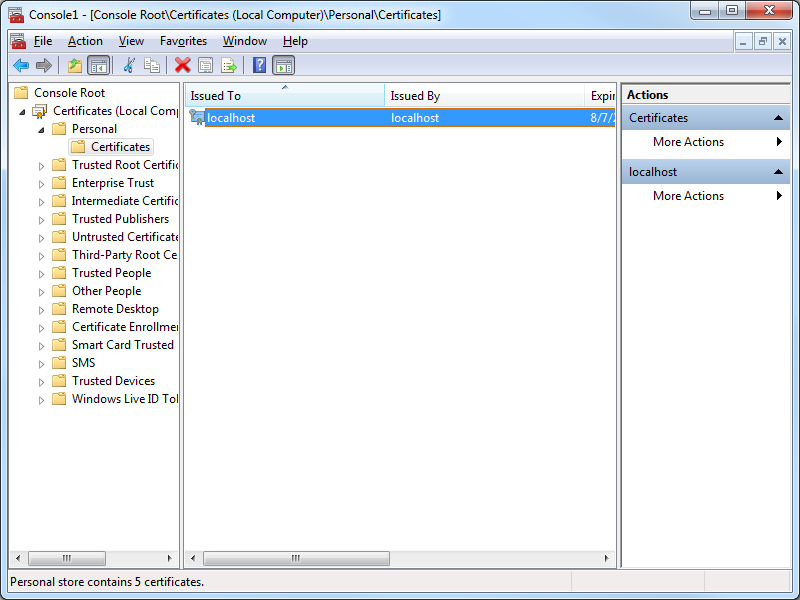 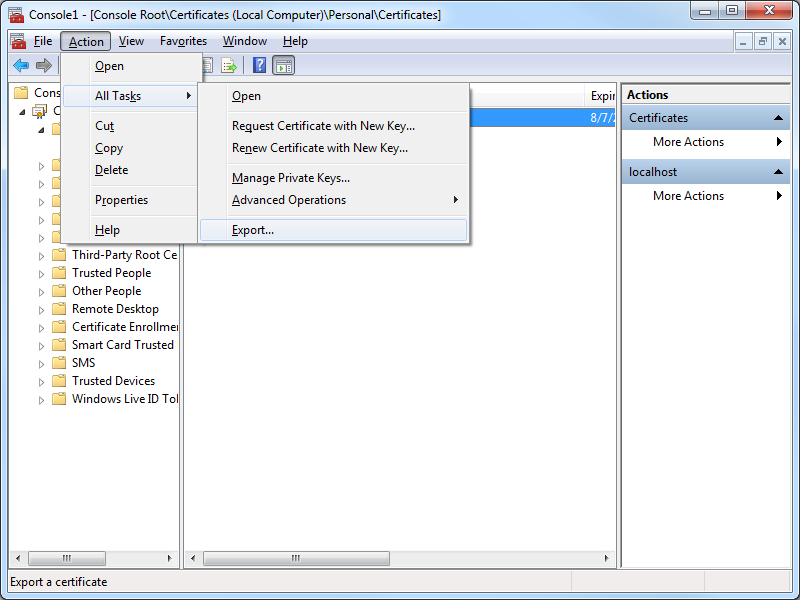 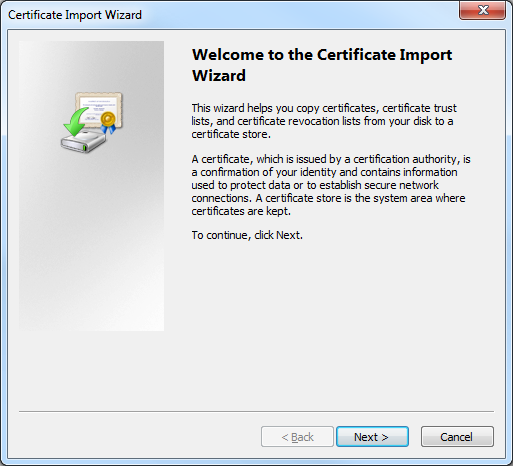 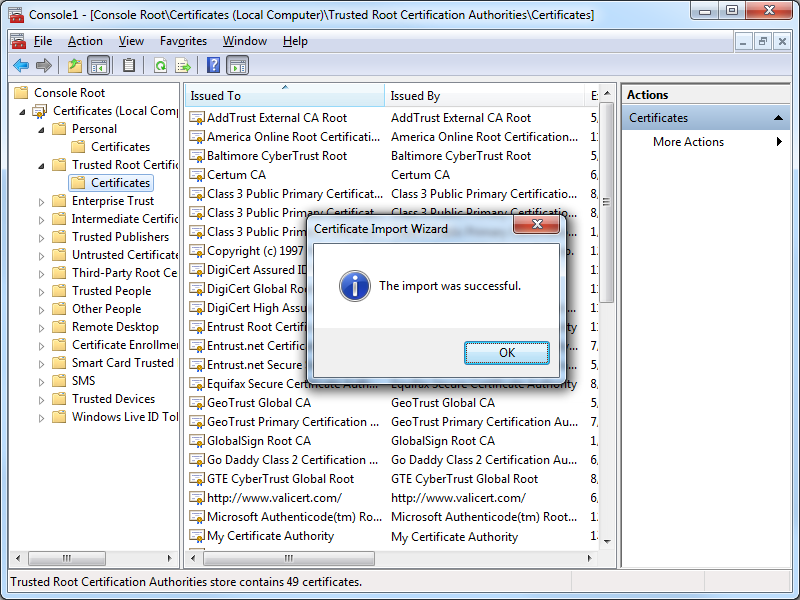 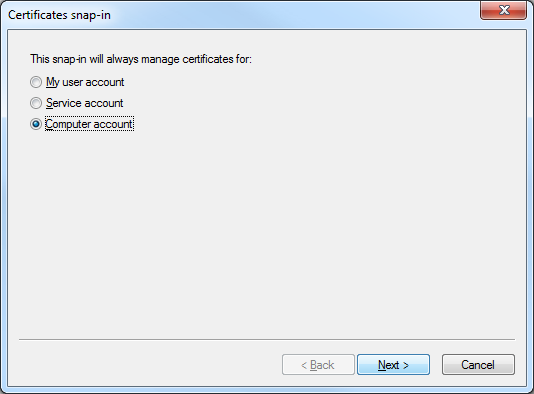 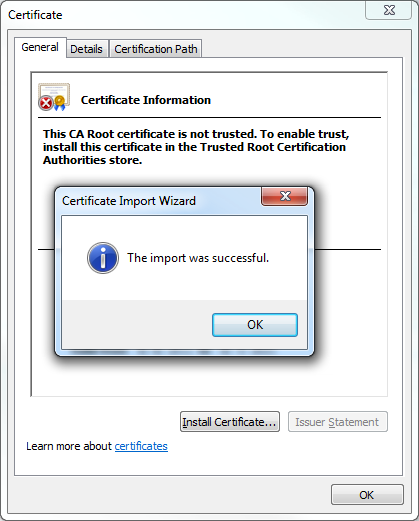 Since that certificate is self-signed, it is not trusted as if it was issued from a "Trusted Root Certification Authority," and therefore Internet Explorer (or any other security-conscious web browser) was doing the right thing by warning the end-user that they were using an untrusted certificate for HTTPS. 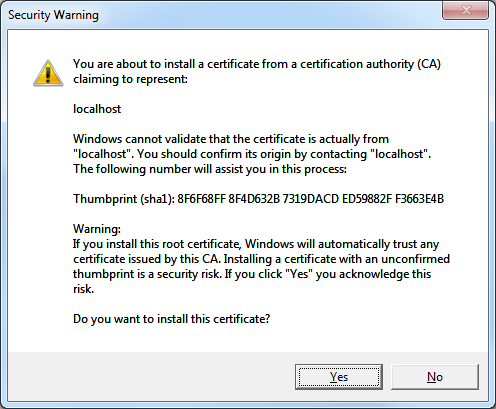 If you were seeing this error when browsing to an Internet website, this would be "A Very Bad Thing™", because you might be sending your confidential information to an untrusted website. 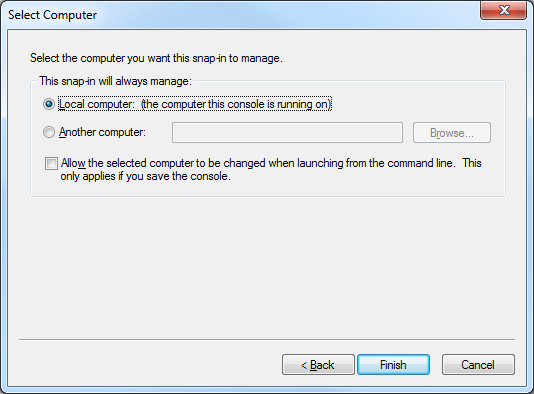 Fortunately this situation can be easily rectified, and there are two different approaches that you can use, and I will discuss both in the subsequent sections. 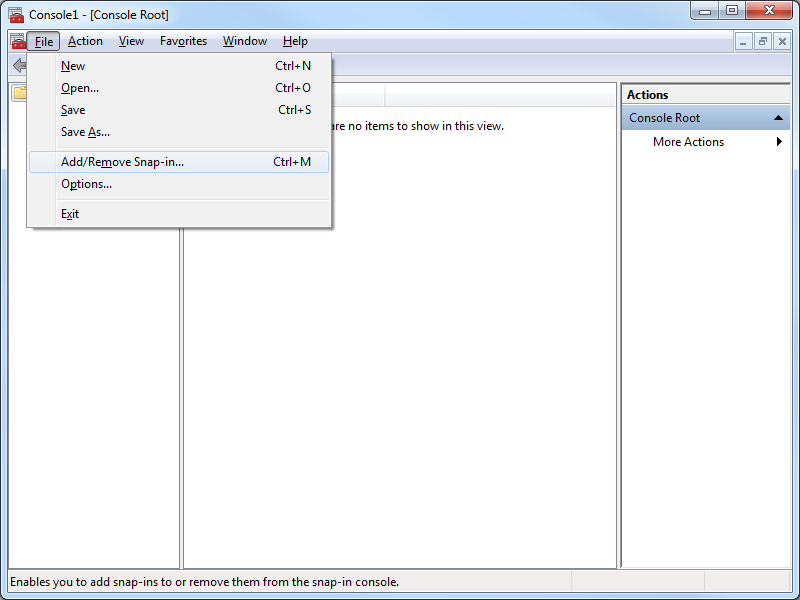 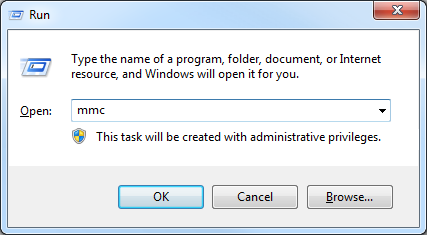 Note: You can also open a blank Microsoft Management Console by typing "mmc" from a command prompt and pressing the Enter key. 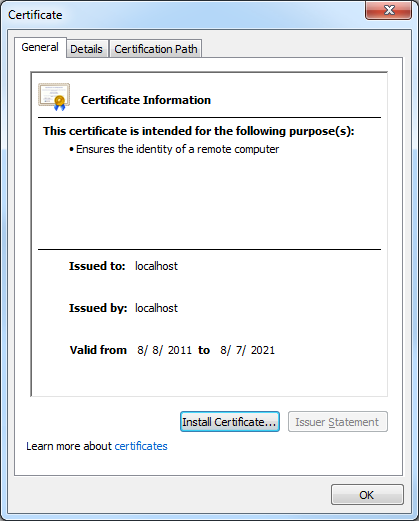 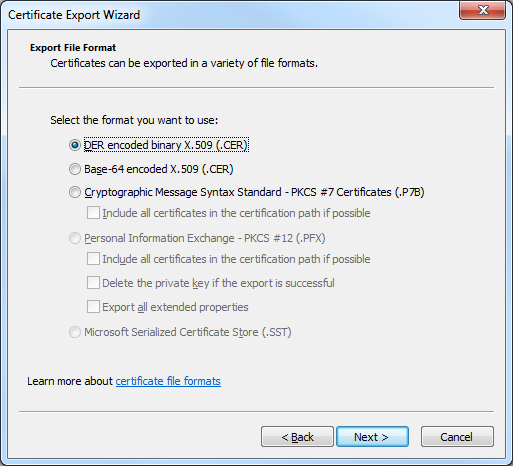 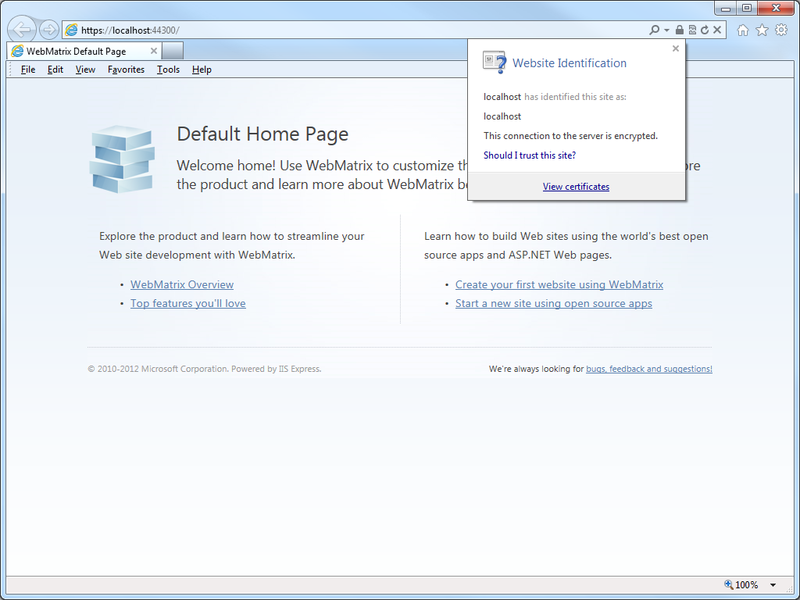 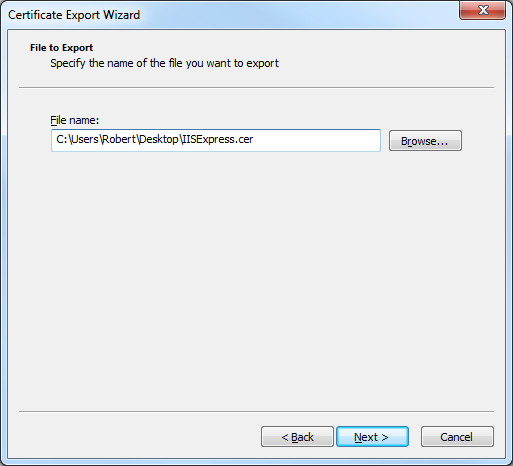 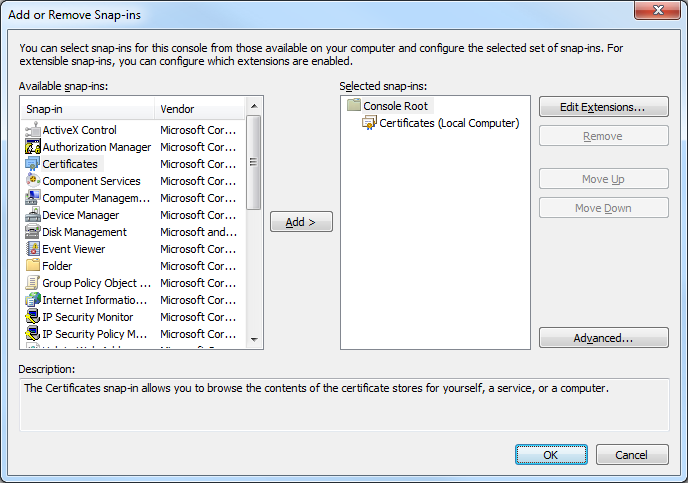 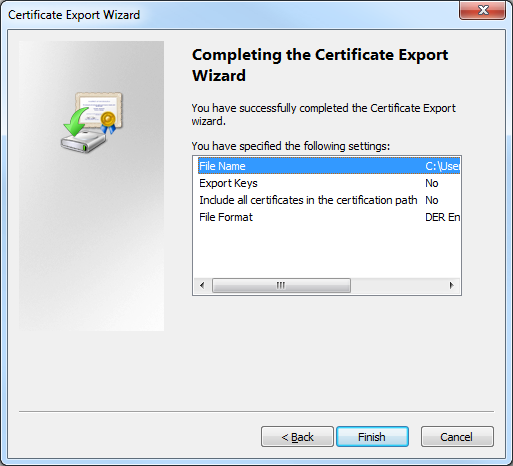 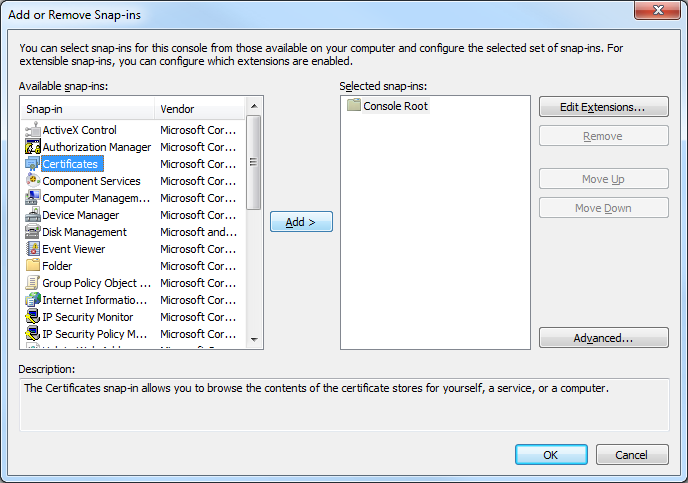 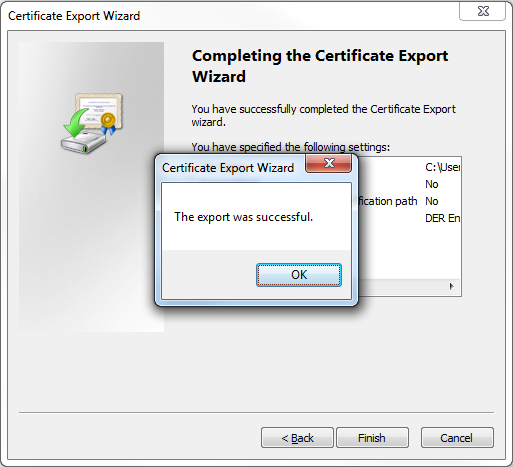 Friendly Name = "IIS Express Development Certificate"
Close all instances of Internet Explorer that you have open. 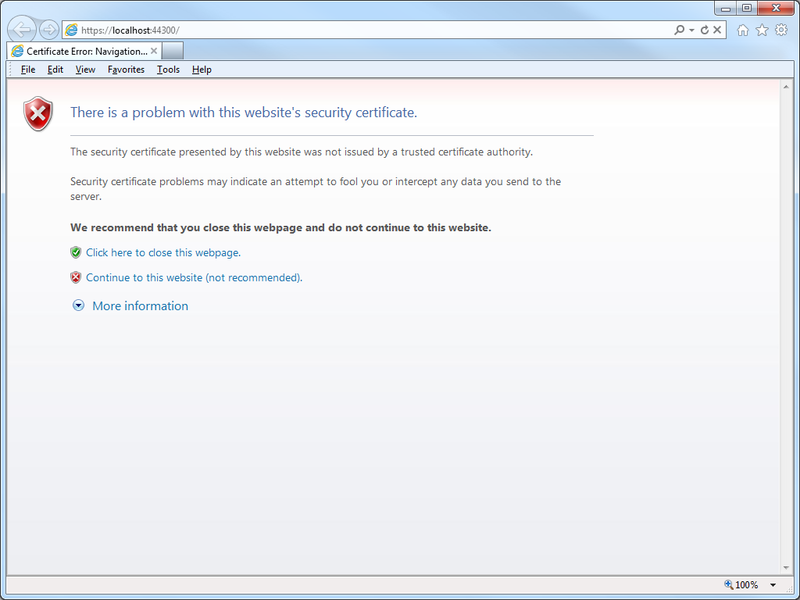 Re-open Internet Explorer, then browse to to https://localhost:44300/ (or whatever port IIS Express is using); your website should be displayed without prompting you to verify that you want to continue to the website. 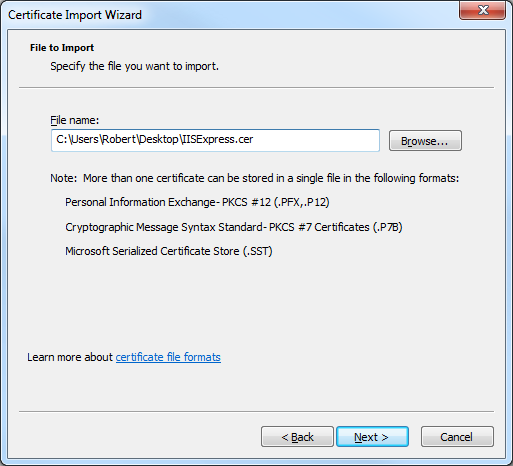 This blog was a little longer than some of my past blogs, but it should provide you with the information you need to trust HTTPS-based websites that you are developing with IIS Express.